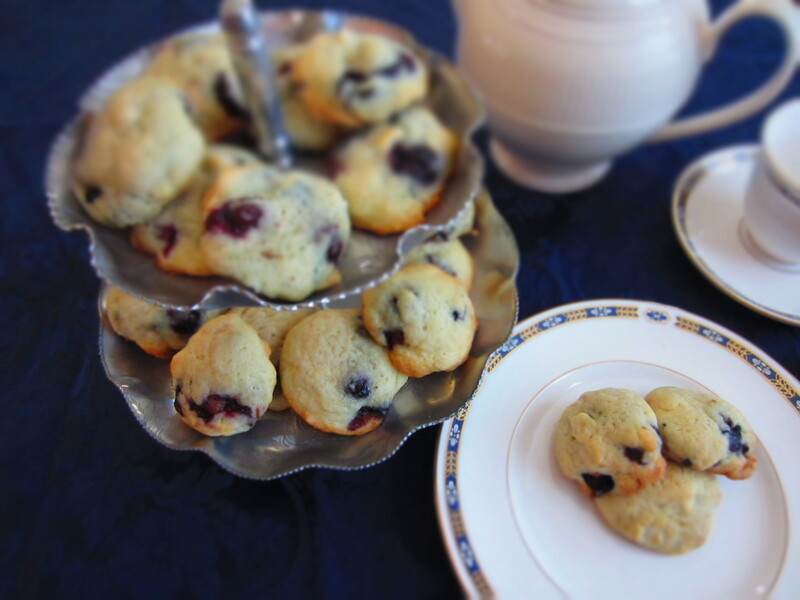 These mini muffins will make you say, “Mmm…”! That is because everyone in my house couldn’t guess the magic ingredient to make these muffins a smidge green. I heard that substituting avocado in your basic banana bread recipe is really delicious and I just had to try it! 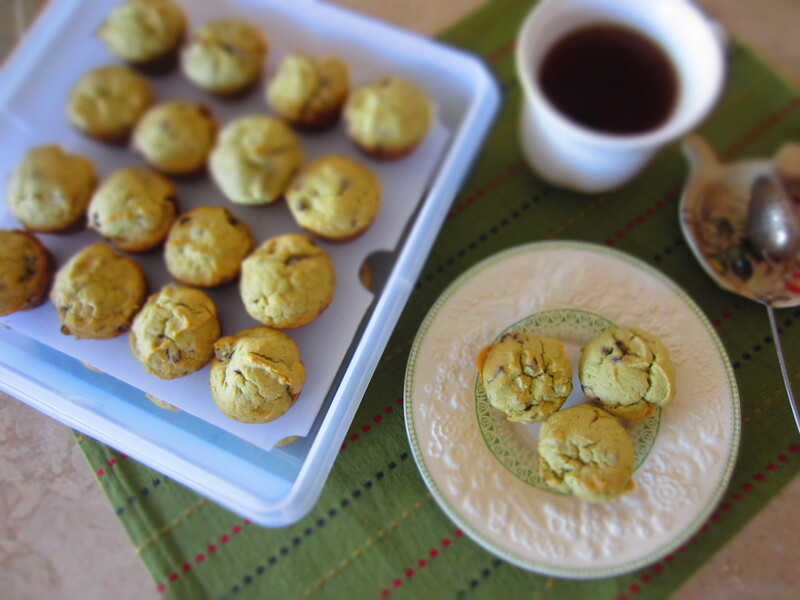 I was pleasantly surprised, because it gave the muffins a nice creamy and subtle flavor. The spices and sweetness from the raisins and mini chocolate chips complemented them perfectly. So easy and a great way to add this super fruit as a yummy treat in your kid’s lunchbox! Preheat oven to 350°. Grease mini muffin tin with cooking spray. With an electric mixer, cream butter and sugar together. Add the avocado until well mixed. Lower mixer speed and add dry ingredients, milk and lemon juice. 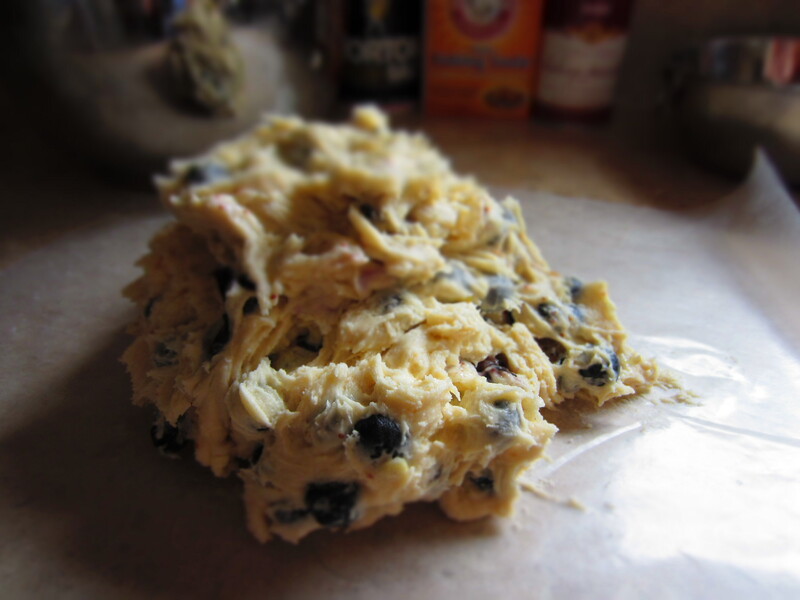 Fold in the raisins and chocolate chips. Have you ever substituted a “different” ingredient to your banana bread recipe? Sweet Stackers – a resolution to storing decorated cookies and more! In the past, when I was decorating sugar cookies I had cookies all over my kitchen and I would run out of counter space. I think I lost a few cookies along the way because I just didn’t have the space and a few ended up on the floor and then the garbage. The icing took quite a while to set and I was “stuck” because it made it hard for me to do anything else in the kitchen…from making dinner to even cleaning up the dishes. 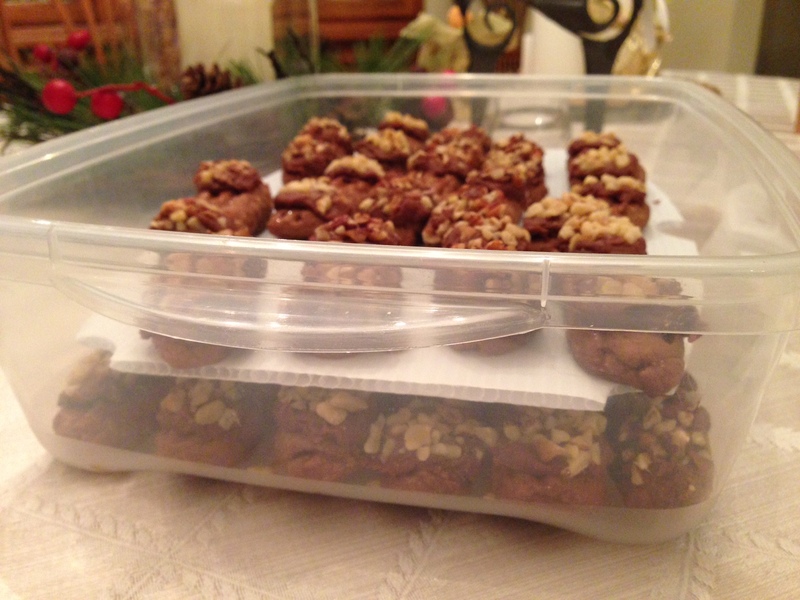 Plus the cookies taste better when they are properly stored in an air-tight container! Sweet Stackers saved my decorated cookies and space in my kitchen! 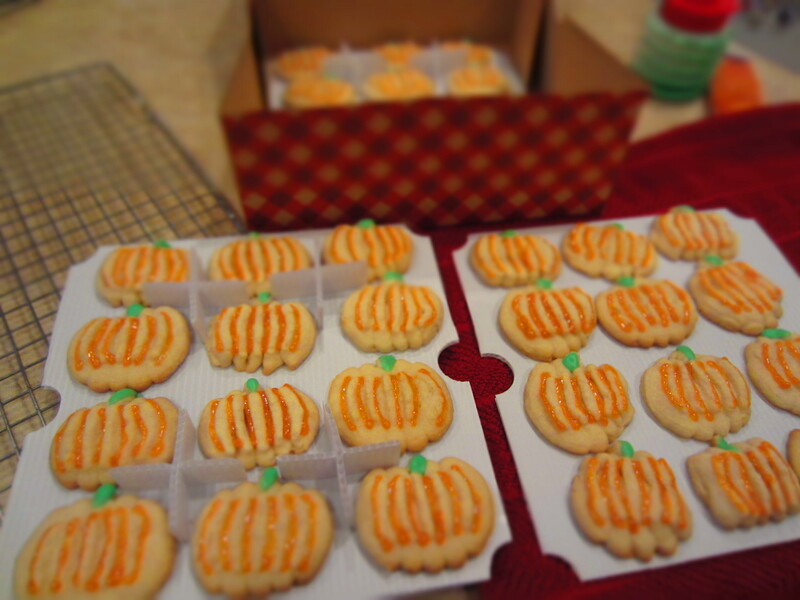 The Stackable Food Storage System allowed me to decorate the cookies right on the trays and layer the trays into a plastic food storage container. 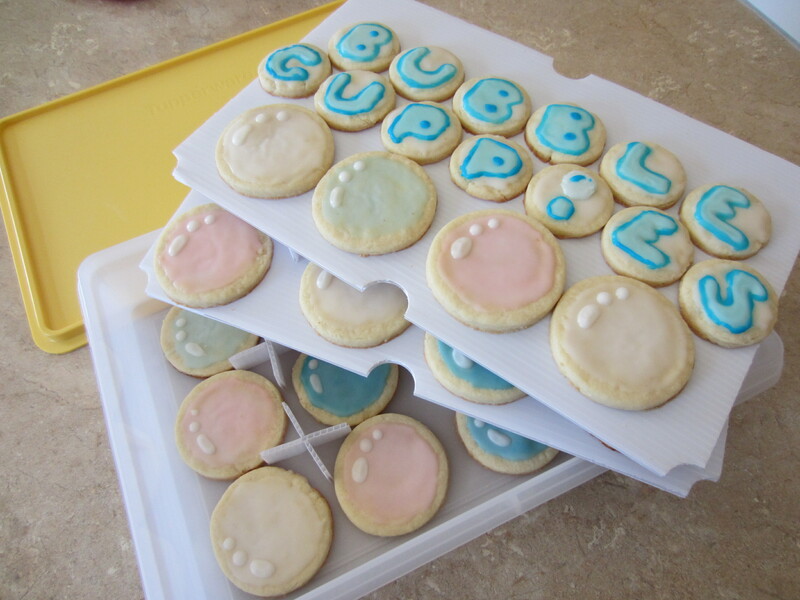 This was a great way to leave the cookies to set, safely organized and without messing the decorations. The trays are made of sturdy, food-grade BPA free, corrugated plastic, therefore making them reusable and easy to wipe down if icing drips onto them. Sweet Stackers fit into a variety of major brand food storage containers. Visit our Product page to view a cross-reference chart. 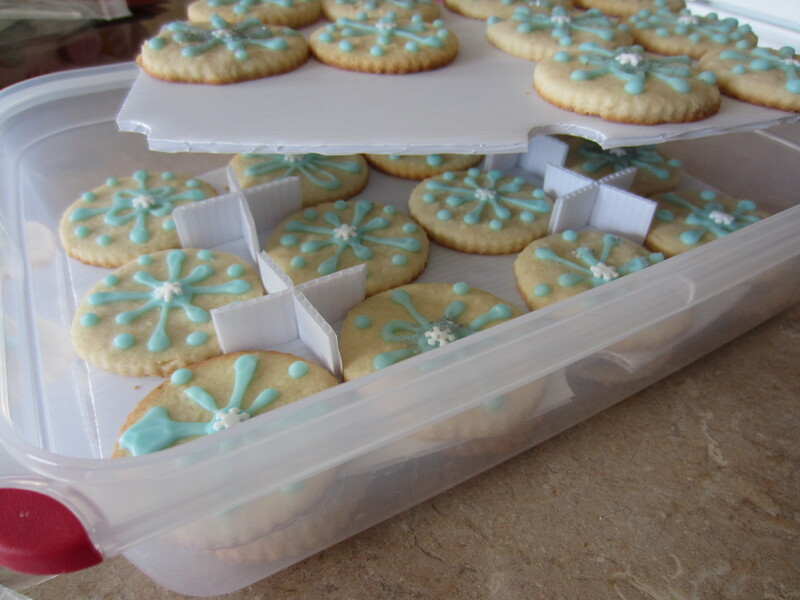 Now you can store 3 layers of decorated cookies in a 3″ deep container! Or add another set of trays, stacking more tiers into a deeper container. Visit my Etsy Shop or stop by my website to learn more about Sweet Stackers and how they can help you with your baking projects, staying organized and so much more! Did you ever make dessert bars, cookies or an appetizer that you couldn’t easily store without disturbing their appearance or having them stick together? Well, I have designed an affordable way to layer your food items in a food storage container that you probably already own! Sweet Stackers™ – Stackable Food Storage System are trays that “stack” in two or three tiers which fit in a typical 3″ plastic food storage container. 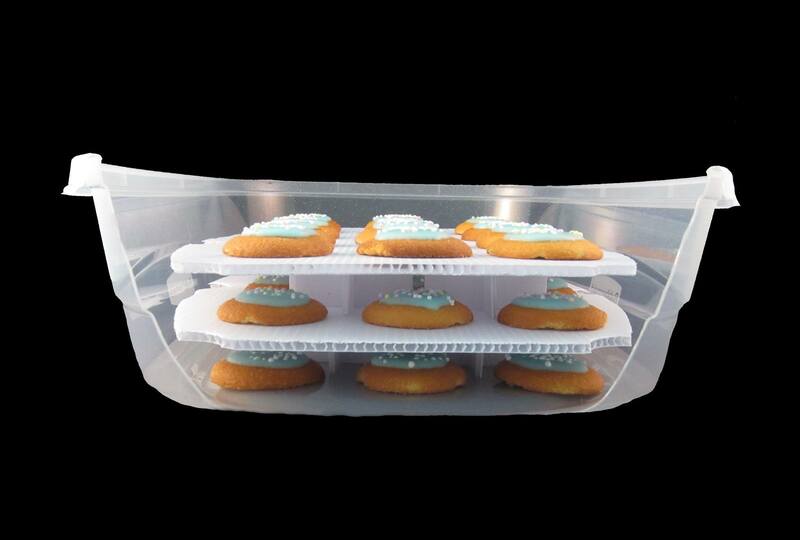 This is a great alternative to over-sized expensive cookie containers or dessert caddies. The trays currently come in four different sizes and fit containers made by major brands like Rubbermaid, Sterilite and Tupperware. Why fumble around carrying multiple containers to a party when you only need one container? The Stackable Food Storage System is also perfect when you are entertaining because you can save space when storing your prepared food in a pantry or refrigerator. They can even be used for everyday use…did you ever store left-over pizza in the fridge to find out that it stuck together? Please check out my website www.sweetstackers.com for more information about my product, there is a cross-reference table of containers and stackable trays…plus a Gallery of Ideas how this product can be used. I would love to hear your thoughts, so please comment below! What a fun sized portion of Mac n Cheese! Perfect for kids and adults alike. Great for lunch or a side dish to compliment dinner. Shhhh….I am even adding some veggies in too! Wouldn’t this recipe be fun way to get your kids in the kitchen cooking? Basically, have all of the ingredients cooked and ready for them to mix, then give them a few choices of veggies to add. They can even fill the muffin tin and sprinkle the bread crumbs on top. 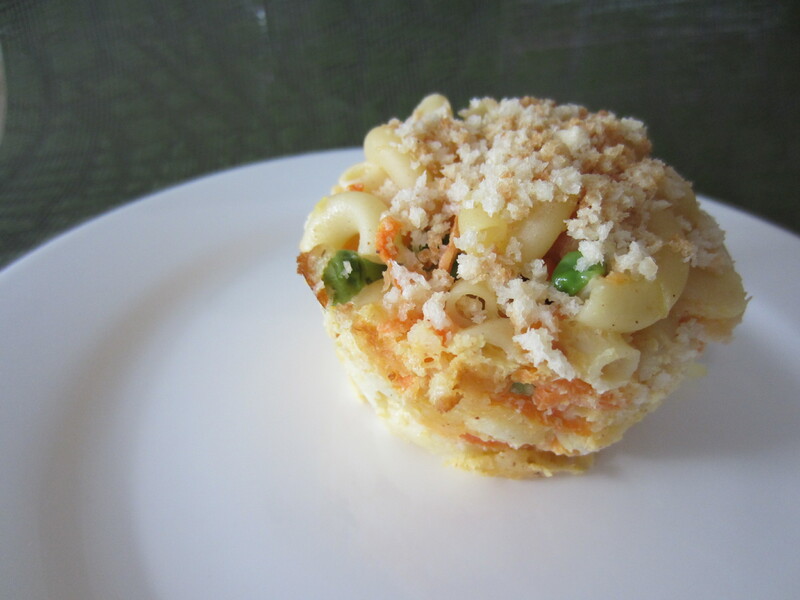 This recipe is versatile because I have tried many different veggies in the Mac n Cheese Muffins…be creative! Cook the macaroni pasta according to the instructions on the package. Preheat the oven to 375 degrees. Spray muffin pan with cooking spray. Drain the pasta, return to the pot and mix in the cheddar cheese and 1/2 cup of parmesan cheese. In a large bowl, beat the eggs and stir in the milk and yogurt until combined. Add the egg mixture to the pasta mixture, mix with the selected veggies, nutmeg, mustard, salt and pepper. Divide the mixture among 12 count medium muffin pan. Heat butter in a small skillet. Once melted, add bread crumbs and stir until browned. Add in the remaining 2 tablespoons Parmesan cheese. Sprinkle over the pasta mixture and bake until set about 15 minutes. Let cool for 5 minutes before removing from the pan. 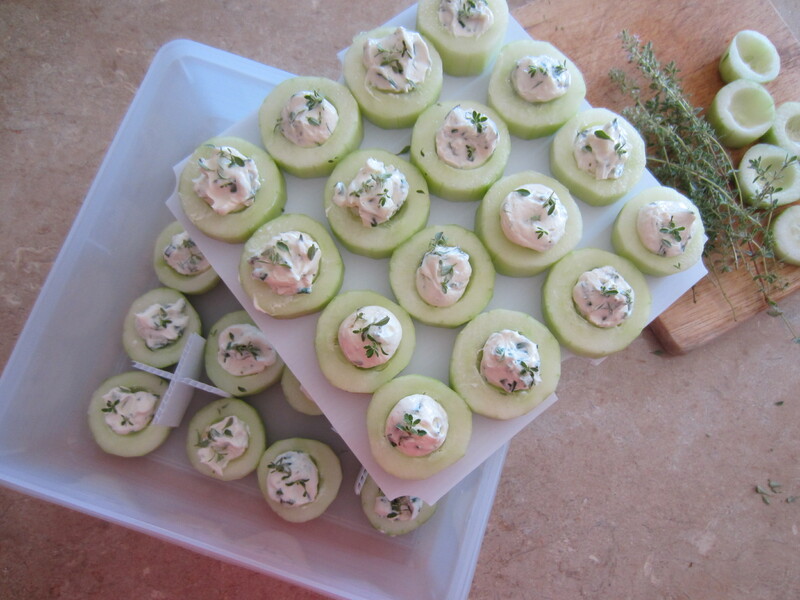 This is one of my “go to” recipes when I need to bring an appetizer to a party, especially in the winter. I have been making this for a Superbowl party for the past few years and everyone seems to get pretty excited about it. 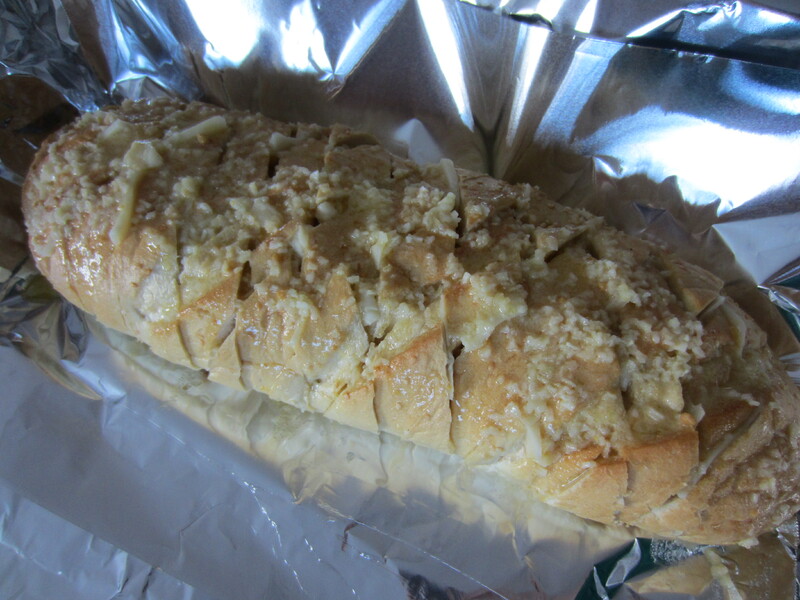 This bread is seriously gone in minutes….so it must be good!! 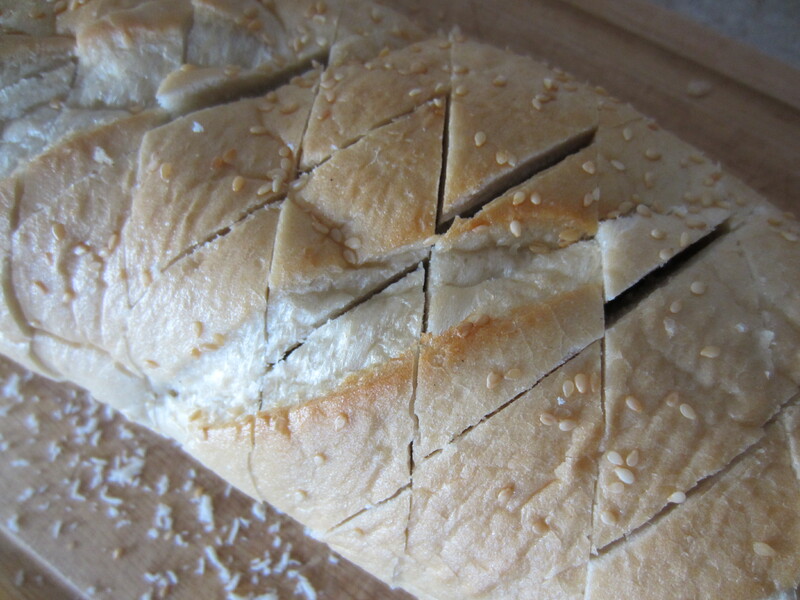 Cut bread on a diagonal, 1/2″ apart, making sure not to cut through bottom on loaf. Cut bread the same way in the other diagonal direction. Place bread on heavy duty foil. Insert pieces on cheese into every little slot of the bread. Mix melted butter and the rest of the seasonings. Pour over the top of bread. Sprinkle with mushrooms. Wrap up to create a tent and bake at 350 degrees for 60 minutes. Kitchen Tip: Bake for 1/2 hour and transport to the party house, then bake for an extra 1/2 hour so it comes out of the oven hot. Here is a fun recipe to change-up taco night! Kids like the crunchy and cheesy shell which holds the filling without everything falling out. Plus you are adding the extra nutrients from black beans without them even realizing it. I really liked the combination of a hot taquitos with cold salsa on top. Heat 1-2 tablespoons of olive oil in a medium size skillet. Add the onions and cook until soft and translucent. Add the ground turkey, cumin, salt and pepper to taste and brown the meat until no longer pink. Drain and rinse the can of black beans. Pulse the black beans in a food processor or mash with a fork. Once the meat is cooked through, remove from heat. Mix with the mashed beans and sour cream. Heat a small skillet or griddle. Brush one tortilla at a time with a small amount of olive oil on each side and lay flat in a hot skillet for about 30 seconds until the tortilla is softened. 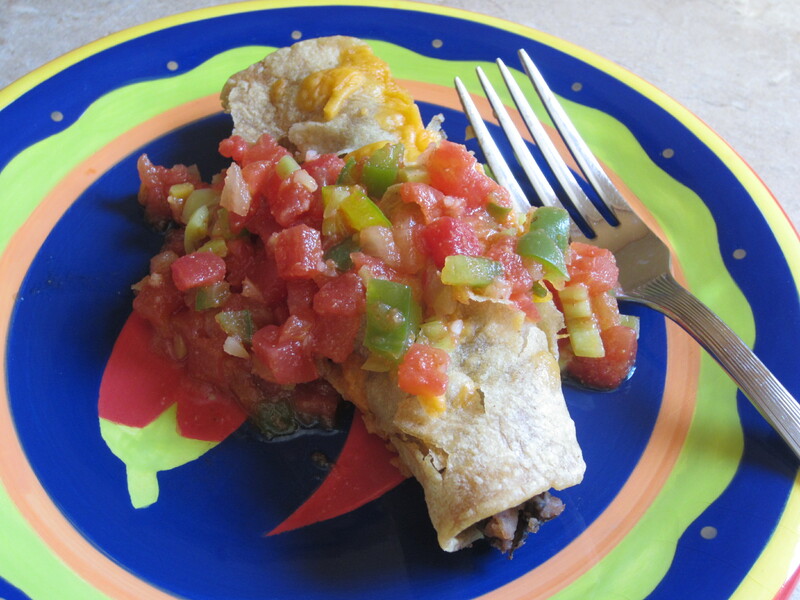 Fill the tortilla with about 1/4 C of the meat and bean filling and roll. Place the taquitos, seam side down in a 13×9 baking pan. Once all of the taquitos are filled, sprinkle with cheddar cheese. Bake in the oven for about 25 minutes until the taquitos shells are crunchy and the cheese is melted. Serve the taquitos with salsa. See my tomato harvest salsa recipe! Score…3 points for Mom last night! This is one of my favorite recipes to get three children (5, 3 and 1) to eat dinner without complaint! This is my improved version of an old meatloaf recipe, but now chocked full of goodness with rolled oats and veggies to keep it moist. Ha! Without the kids knowing, my husband and I used to fight over who got the end bits when I would make this meatloaf in a loaf pan. The perfect solution was to bake it in a muffin pan because each “muffin” has the tasty goodness of the end slices of a loaf. Plus the kids get a kick out of eating muffins for dinner too! 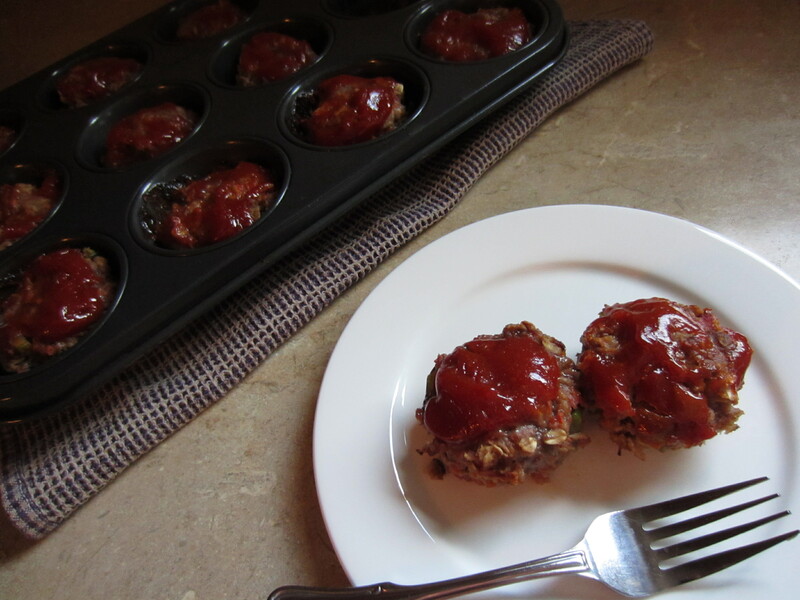 Mix all meatloaf ingredients together, divide evenly and press into a 12 count muffin tin. Mix the topping ingredients and spoon approximately 1 tablespoon full over the top of each muffin. Bake in a 350° oven for 25 minutes until the meat is fully cooked through. Hope you and your family enjoys! Let me know what you think? Blueberries are scrumptious and I can’t seem to get enough of them lately. I was looking for a cookie that would be perfect for an afternoon tea and found inspiration from a recipe that I wanted to try a while ago on Baker Bettie’s blog. 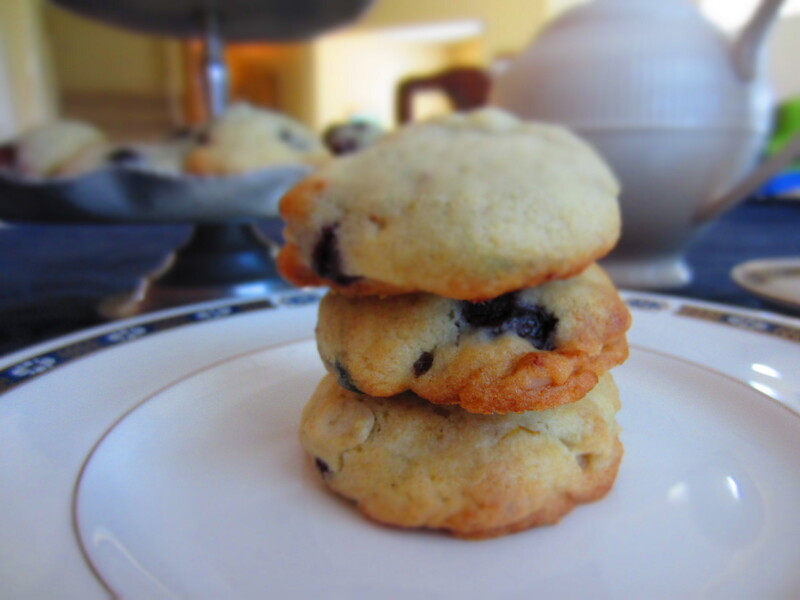 Her recipe for “Soft and Fluffy Blueberry Lemon Cookies” http://bakerbettie.com/2012/02/22/soft-and-fluffy-blueberry-lemon-cookies/ look heavenly…as well as her beautiful photography. I used the base recipe and added a couple of touches of my own. 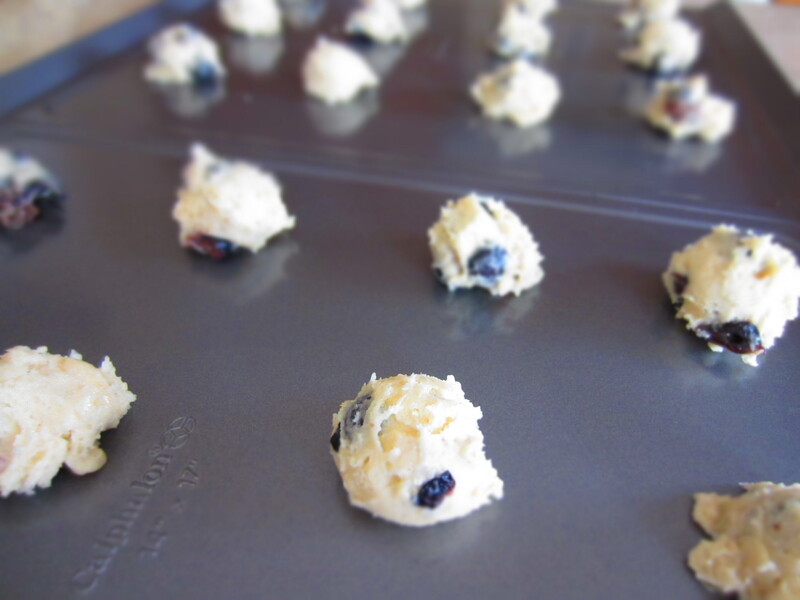 These Blueberry Almond Cookies turned out delish! 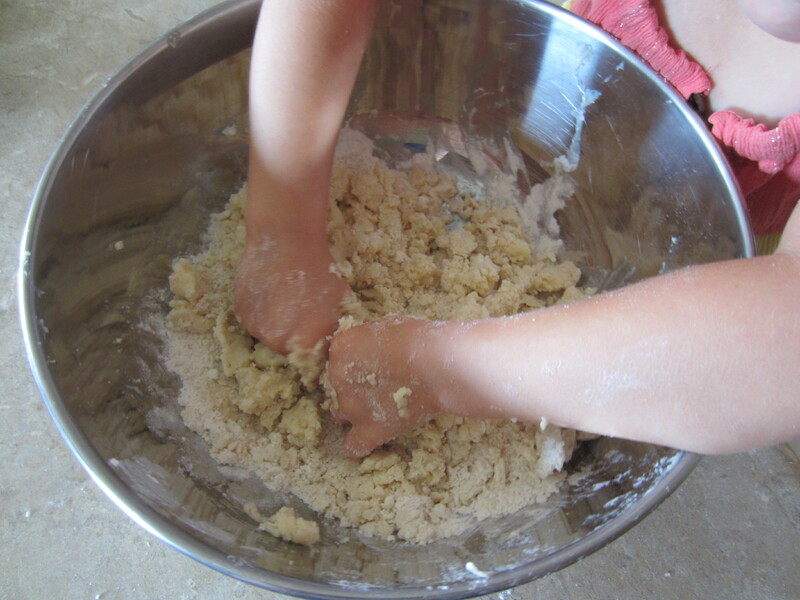 Sift flour, salt, baking soda and baking powder together. Note: Measure 3 C of flour and sift it by itself, then measure 3 C flour to use for the recipe. You would be surprised how much is left over, this will keep your cookies lighter! Cream the butter and gradually add the sugar until light and fluffy. Beat the eggs one at a time, then add the almond extract. Slowly add the flour mixture, scraping the side of the bowl to ensure all of the ingredients are combined. 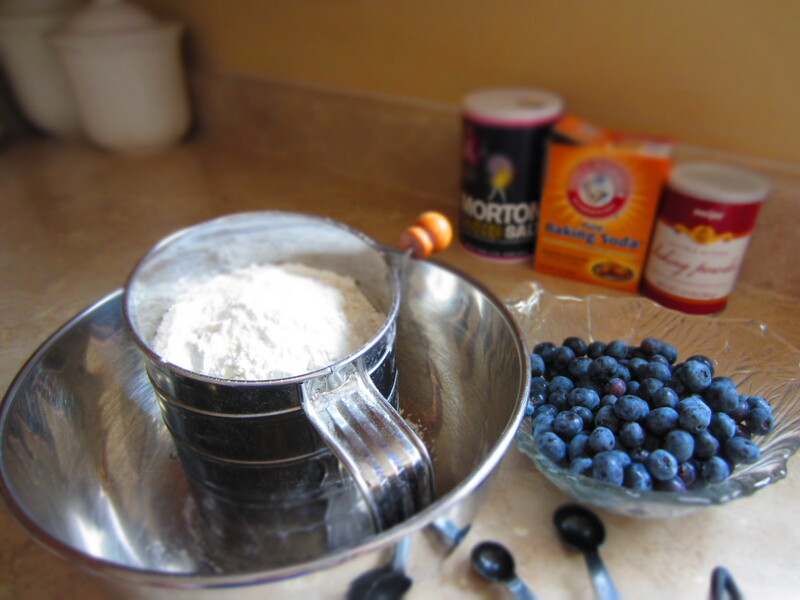 Once the dough comes together, gently fold in the blueberries and almonds. I wrapped the dough in a sheet of wax paper and refrigerated for a couple of hours. Preheat oven to 350°. Drop a tablespoon of dough on a cookies sheet (or use a cookie scoop). Bake from 11-14 minutes until the bottoms are lightly browned. 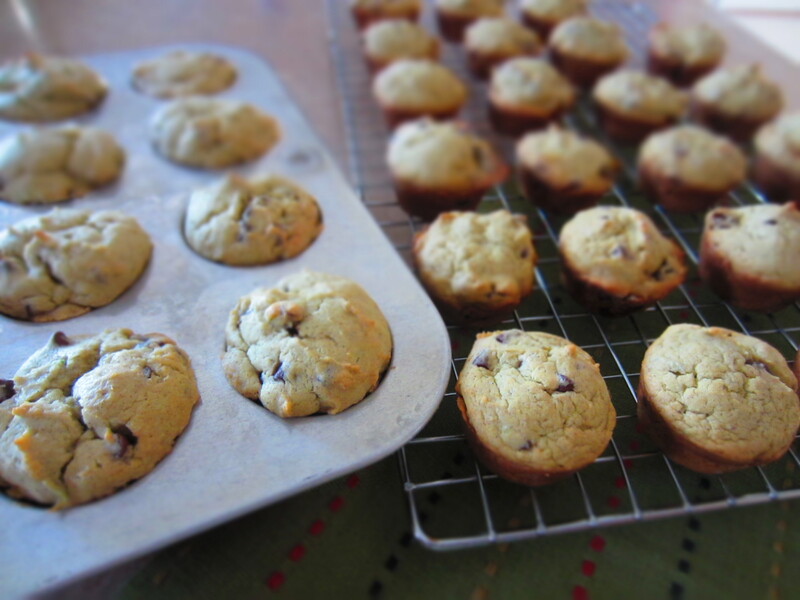 The cookies turned out delicious….soft, fluffy, cake-like and a slight crunch from the almonds! 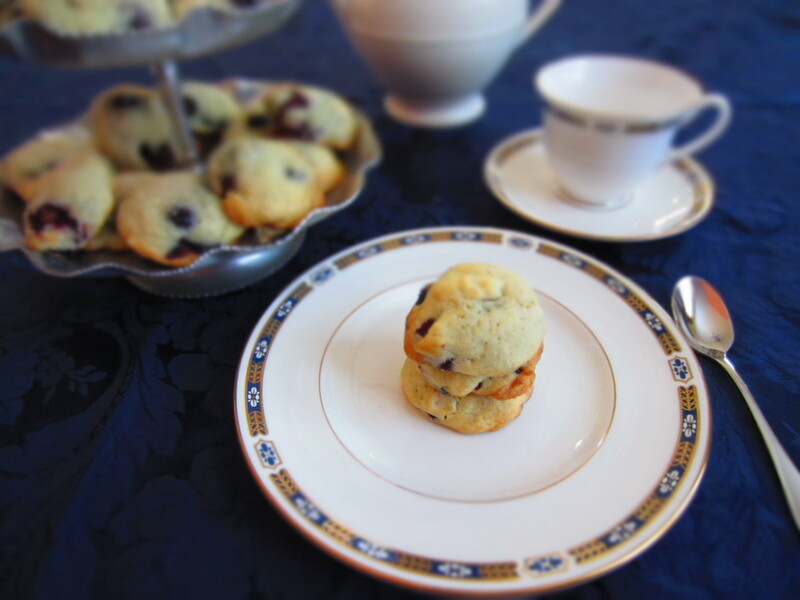 Blueberries were the inspiration for this beautiful, relaxing afternoon tea. 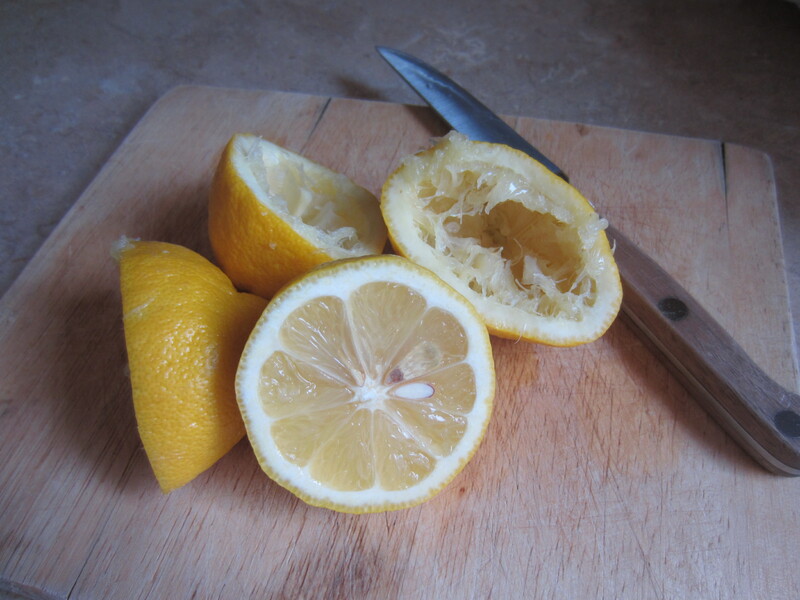 What is more refreshing than a lemon? 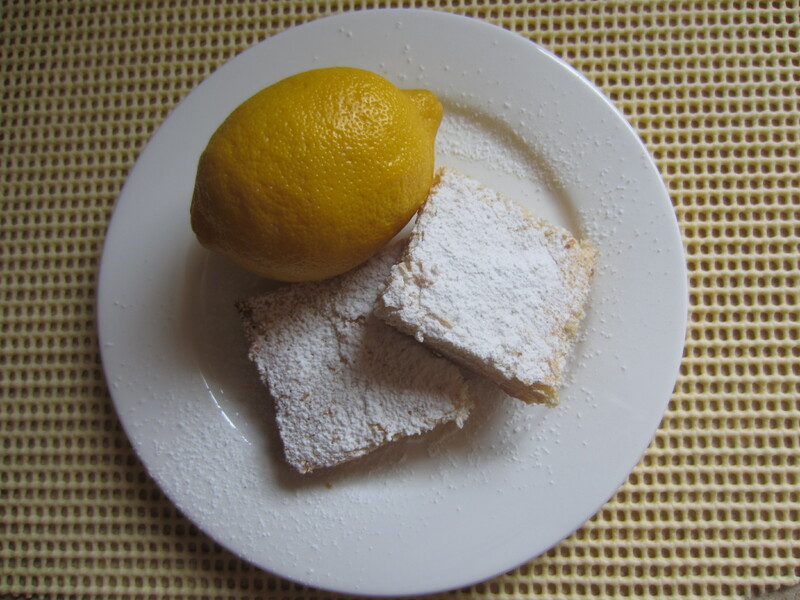 With this heat wave sweeping the heartland, I have been craving lemon…and lemon bars are one of my favorite comfort food desserts. I brought this sweet treat to a family gathering on the 4th of July. Sift the first two ingredients together. Cut in butter until mixture clings together. Press into a 13×9 baking pan. Bake at 350º about 20-25 minutes, until crust is lightly browned. Put the eggs, sugar and lemon juice in a blender and mix until it is thick and smooth. Sift 1/4 cup flour and baking powder and add to the blender. Blend to combine. Pour the lemon mixture over the crust and bake for another 25 minutes. Once cooled, cut into bars and sift confectioners sugar top.